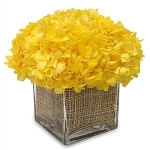 Yellow flowers of all kinds have long been popular because of their bright, cheerful color. 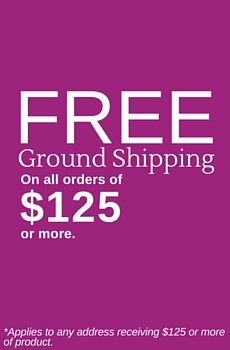 This holds true for yellow sunflowers, yellow roses, yellow hydrangeas, yellow daisies, and yellow flower arrangements overall. 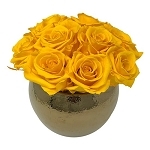 What is particularly special about yellow rose flower arrangements is that they give beauty and formality to the many occasions that are perfect for yellow flowers - birthdays, friendship, get well soon, thinking of you - all are answered by the meaning behind yellow roses. Unlike some meanings of flower colors which can vary greatly around the globe, the yellow rose flower meaning is fairly consistent across the world and across multiple cultures, with only a few exceptions. 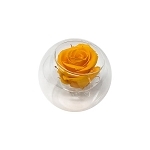 For instance, in Western cultures, the meaning behind yellow roses reflects friendship and optimism. Eastern cultures are very similar in their interpretation, assigning the meaning of giving yellow roses to be associated with happy occasions and feelings of joy. 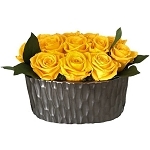 In this way, yellow rose arrangements can be a beautiful way to congratulate a couple on a new baby. Likewise, real estate agents might choose to say “welcome to the neighborhood” with yellow rose floral arrangements for their clients. A person may even feel confident in the gift of one yellow rose, meaning that they wish to extend friendship or brighten up another person’s day. What is interesting about the current, almost-universal meaning of yellow roses is that it is a sharp contrast from the meaning of yellow roses in the language of flowers from Victorian times. In this era, yellow rose arrangements were not associated with positive feelings, but rather with jealousy, the end of a relationship, or even infidelity. Most believe this is because yellow roses of that time period typically lacked the signature fragrance of roses - a trait that, if personified, would mean yellow roses were jealous of their more lovely scented counterparts of other colors. Fortunately, warmth and positivity won out and today yellow roses’ meaning is almost consistently a happy one. Other considerations when asking “What is the meaning of yellow roses?” is to think about the color yellow from a broad perspective. 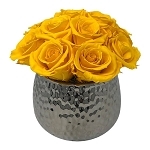 Deep yellow hues can also be interpreted as gold - so if someone were to make a great achievement - such as a promotion at work, or winning an important contest, yellow rose flower arrangements would be a nice way to extend your good wishes. In Japan, yellow roses’ meaning goes a bit beyond happiness and cheer to also mean courage or inner strength. So, you might consider giving one yellow rose, meaning you’re in support of that person as they face a challenge or difficulty. You might also consider how yellow interacts with our minds and how you might arrive at a new answer for the question: What is the meaning of yellow roses? The color yellow activates the memory center of the brain, stimulates the nervous system, enhances vision and can even build confidence. The effect can be seen on brain scans when patients are exposed to the color. For this reason, yellow rose floral arrangements are popular in senior living communities and in elder care facilities as yellow roses can play a small part in a person’s recovery or well-being. What is certain about the meaning of yellow flowers is that yellow roses are meant to be noticed. 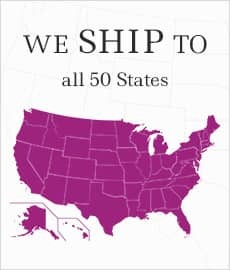 They get attention in even the dullest environments, making them a top choice for resorts, hotels, and large gathering spaces where people do not want the floral decor to fade into the background. 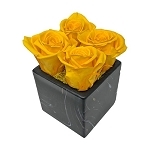 This makes yellow rose arrangements ideal for honoring any special someone who you feel deserves some extra attention in his or her life.